Some occasions call for formal parties, and Pongal Event Center can accommodate yours! We offer a large event space to host a banquet-style event for a large number of guests. We have various sizes and shapes of tables to accommodate family-style or buffet-style serving. We have sound equipment that can be set-up at the head table for toasts, speeches, awards and announcements. Pongal Event Center makes it easy to turn our event center into a banquet facility. We offer rental table linens and chair covers in a variety of colors to match your party’s color scheme, company or school colors. Tables and chairs will already be arranged by our staff. Unlike many event centers that limit your food options to an in-house caterer, Pongal Event Center allows you to choose your menu and food service provider. 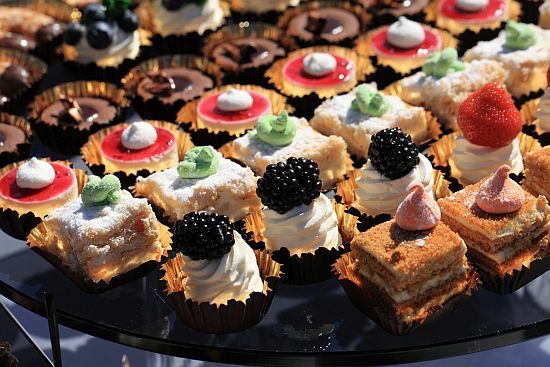 Our staff can provide recommendations for local caterers, bakers, etc. with excellent reputations if needed. Pongal Event Center offers a beautiful space and hassle-free hosting for your banquet event. We also offer one of the best values for your celebration in the greater Albuquerque area. Contact us to learn more about venue rental packages and book your special event. If you need assistance planning your banquet, please contact Elaine, our experienced event planner for more information about services and pricing.